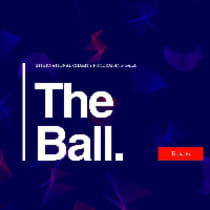 The Ball 2018 is the first edition of the international fundraising galadinner in order to raise funding for the high level research of child oncology of the Van Boxtel group at the Princes Maxima Center in Utrecht. The research money is spend to have the highest impact on the longrun.Thats the reason why its going to be spend on the worldwide information sharing and gaining of the Van Boxtel Group. We need all contributions from all parts of the world to create time for everybody, especially the persons that just started their lives.